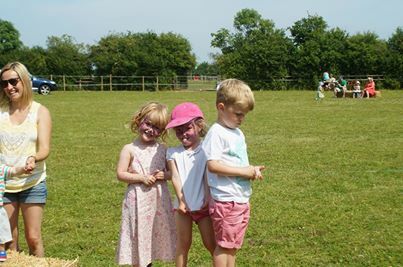 Hoofprints was opened in October 2011 by Lucy Conroy , this was based on her love for horses and a desire to teach. After allot of research in the area it was clear that the Buckingham community wanted somewhere they could go horse riding. The extremely highly praised Mary and Theodore who live up at Stow have been teaching Buckingham’s children and adults for over 50 years but sadly had to retire. They still have some of their old ponies and still take donations for rides. Buckingham needed a riding school that was as fun as Stow riding but with some added structure of school based work. Horse riding should be fun for both horse and rider! All the horses at Hoofprints are sourced from rescue centres like the Blue Cross and RSPCA. A couple of them are loaned privately from friends. 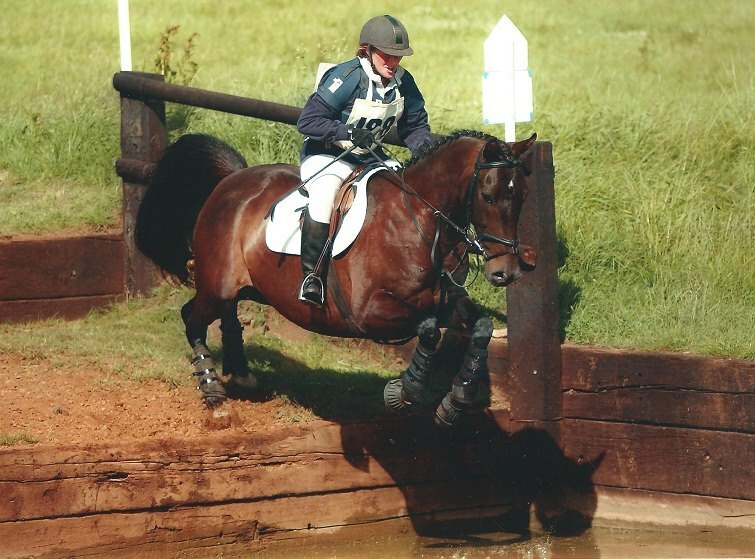 All our horses are schooled to a high standard and enjoy hacking, cross country and jumping. 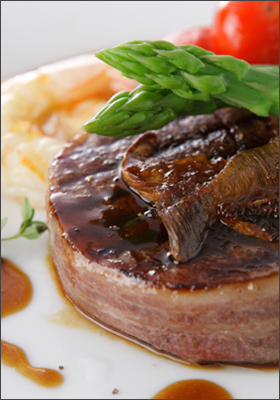 We like to ensure that they are happy and have a variety in their work load. If you would like to meet our team of horses please visit the ‘meet us’ page. Each horse has been assessed for suitability; we take huge pride in our care of the horses and ponies. 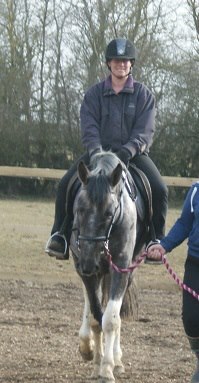 All hacks are subject to a rider assessment first and accompanied by an instructor. £30 for about 1.5 hours. 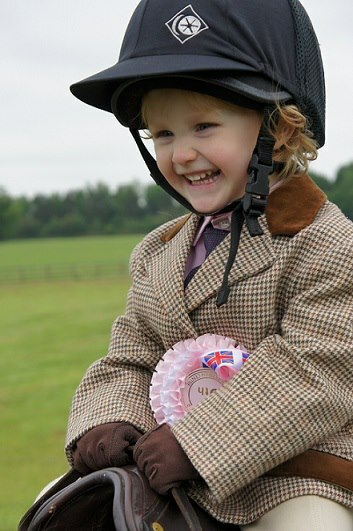 This is a chance for children to experience what is like to own your own pony for one day. 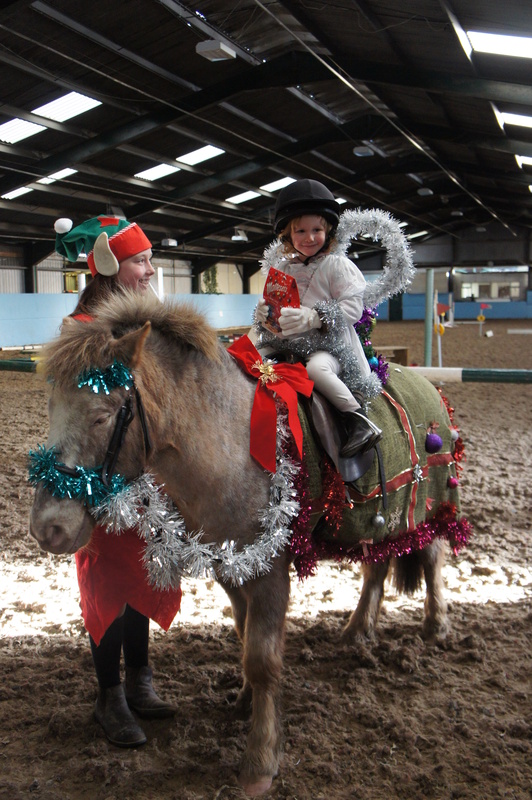 They will each be allocated a pony for the day and then learn how to care for it, ride it and have lots of fun! 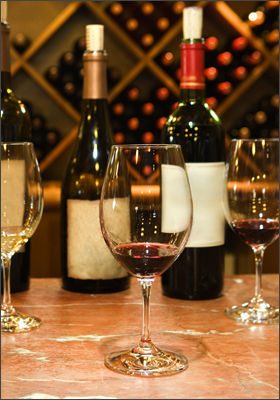 The day is supervised closely and help is always at hand so dont worry they will be well taken care of. Please bring a packed lunch and water proofs if it is raining. At Hoofprints we believe that the care of the horses is the most important part, so we like to offer the chance to pupils to learn about how to care for the horses. We have 5 levels of horse care and when each level is completed the achievement is marked with a painted horse shoe. These sessions are held during the school holidays and the dates will put up onto the website on the 'Updates' page so keep an eye out. Levels of care can be repeated for recap even if it has been completed. Also, if they are at level 1 they can still attend level 2 to prepare for the higher level. My daughter Pippa at 2 years old kissing Buster, she just LOVES him! Ellie on Sefton, hunting for easter eggs! 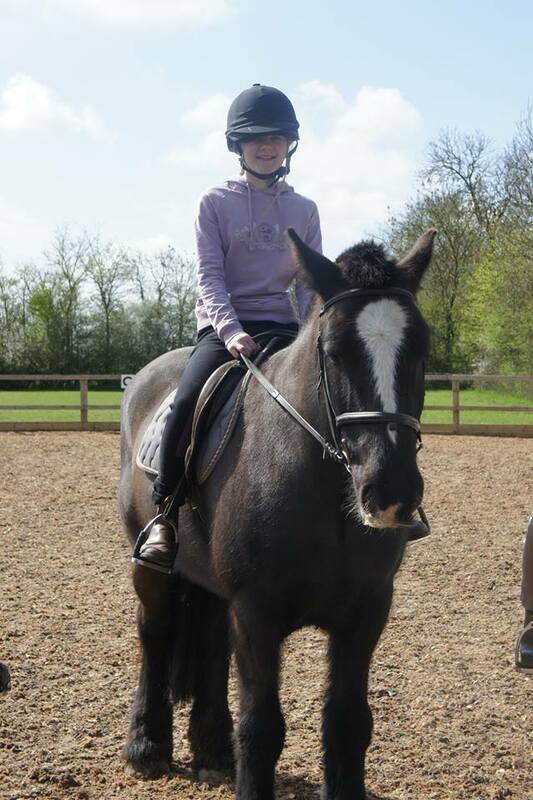 Jess on Baloo, Own your own pony day! Storm showing Buster at Addington Manor show. 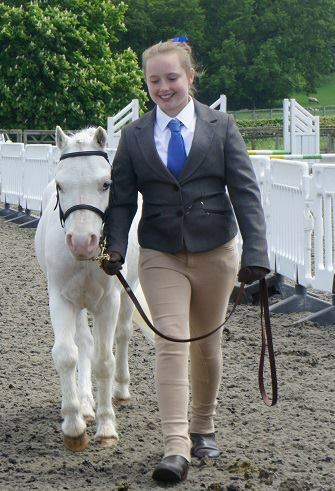 Above is my little girl girl Amber at Addington Show on her pony Harvey at just 2 years old, she Loved it! On the left is Disney bravely jumping into the water in his younger days. 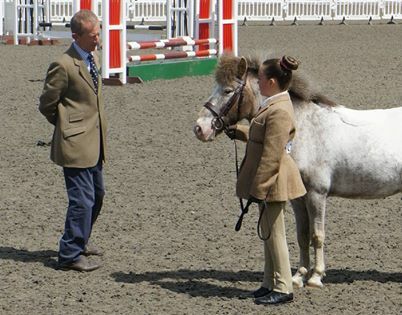 Jasmine talking to the judge at Addington Manor. 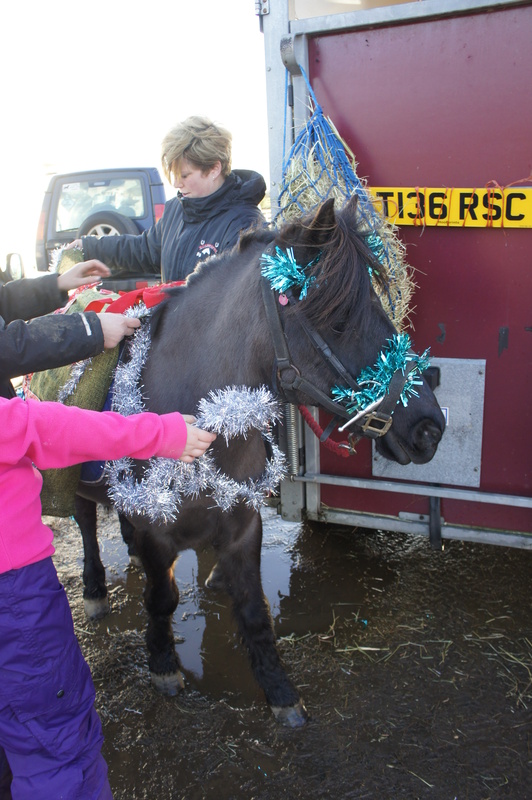 The team hard at work making Wilmer look very christmassy for the handy pony show!